Operation Attleboro was actually made up of Phase I and Phase II. Phase I was the period of time early on beginning about 2 Sep 66 and extended into early Nov 1966. Phase II began about 6 Nov 66 until the end on 24 Nov 66. 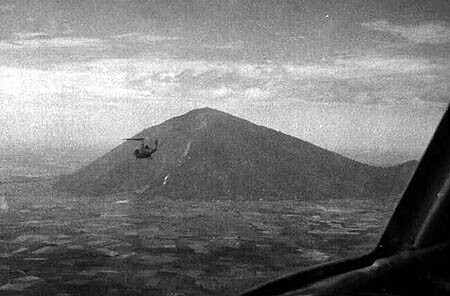 Operation Attleboro turned out to be the largest series of air mobile operations to date and involved all or elements of the 196th Light Infantry Brigade, 25th Div. 1st Inf. Div. 173d Abn Bde,a brigade of the 4th Div. as well as numerous ARVN and Regional Forces/Popular Forces(RFPF)and Nungs. In the end, the operation became a Corps operation commanded by II Field Forces. 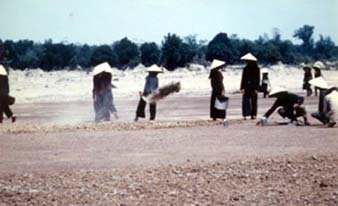 Tay Ninh West Airfield being constructed prior to the 196th Light Infantry Brigade coming to Vietnam. 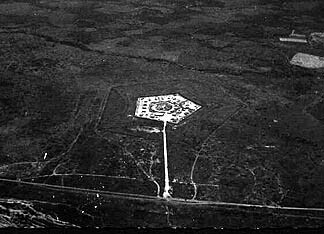 Tay Ninh West, often called "New Tay Ninh" to distinguish it from the old French constructed airstrip in the Vietnamese town of Tay Ninh called "Old Tay Ninh", was a newly built and yet uncompleted base camp of GP medium and small tents built especially for the 196th Light Infantry Brigade. The 196th LIB was the first of four LIBs due to be sent to Vietnam. 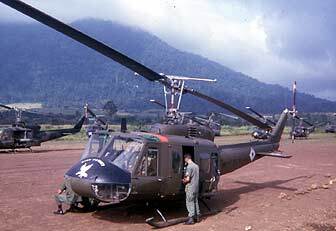 They were formed at Ft. Devens, MA and had arrived in Vietnam at Vung Tau a month before in Aug 1966. The Brigade was untested in battle and Operation Attleboro, named for a town in Massachusetts from which the 196th had come, was the code name picked for their first combat encounter with the jungles of Vietnam. 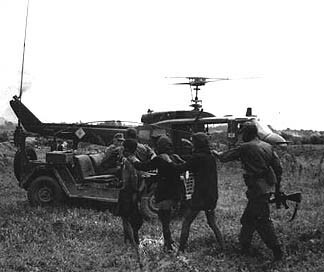 The three straight-leg infantry battalions were airlifted in airbmobile fashion to LZ's surrounding Tay Ninh in all directions. No real action was encountered and the units were moved about from LZ to LZ and back to base camp. Most of the air movements in the early Phase I was done by the 145th Combat Aviation Battalion and its assault helicopter companies, the 118th, 68th and 71st. The terrain all over War Zone C, and particularly around Tay Ninh and all the non-farm land, was what might be classed as high Savannah. Tall wavy elephant grass interspersed with occasional very tall trees was the norm. Rainfall in this area is not as much as areas farther east and near the sea coast of Vietnam. Many areas around Nui Ba Den and adjacent to Tay Ninh (West) were punctuated with huge 6-10 feet tall termite mounds. These mounds created havoc, when found with tall elephant grass, for helicopters dropping off troops in a combat assault. All aircraft crews were especially watchful for termite mounds. Operation Attleboro, Phase II, was punctuated by a massive build-up of more Infantry battalions and aviation assets. 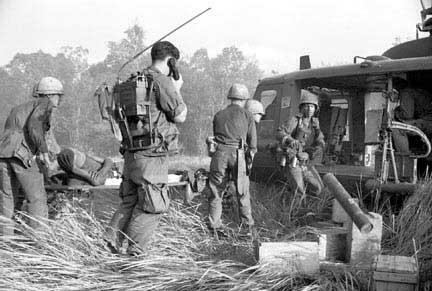 Phase II erupted after the 196th LIB had, for several weeks, experienced no significant contact with the Viet Cong(VC) or North Vietnamese Army(NVA). However, intelligence had indicated that their elements were somewhere in this area of War Zone C and this sounded the alarm. The decision was made to involve the 1/27th Inf of the 25th Infantry Div., elements of the 1st Infantry Div(at Dau Tieng), 3rd Bde of the 4th Inf. Div(soon to be come part of the 25th Inf. Div., the 173d Abn Bde the 11th ACR several ARVN Bn's and of course the 196th LIB. By now the elements of the VC 9th Div(70th, 271st and 272nd VC Regts) and the 101st NVA Regt were involved and deploying to attack the Special Forces camp at Sui Da. Aviation elements involved were the 145th CAB, A & B Companies of the 25th Aviation Battalion, elements of the 11th CAB(116th AHC) and the 175th AHC which was part of the 13th CAB. This operation was the field test of a new search and destroy pattern of warfare. Its success can be seen by the massive amounts of enemy supplies and arms. From the book OPERATION ATTLEBORO by Marion L. Ellard, it is reported that "two million pounds of rice, 80 rocket launchers, 25 machine guns, 481 Claymore type mines, Rifles, pistols, oil, and clothing, 116 bicycles and 23,000 Red Chinese grenades of which over a thousand were loaded with tear gas were recovered from many VC and NVA caches!" It was rumored that that much rice could feed a NVA or VC Division for a month. Operation Attleboro was considered a success. 'The 145th CAB Forward Command Post at Tay Ninh(West) Airfield became operational at 13:30 hrs. on 11 Nov 1966. The mission of the 145th CAB was to provide C & C, troop carriers, armed helicopters, Pathfinders and rapid refueling support to the 25th Inf. Div(which had assumed command of Operation Attleboro) from 11 to 24 Nov 1966. VC suspects returned from the field in "Operation Attleboro" to the base camp at Tay Ninh(West)1966. Below is only a three day tabulation of the missions of the 145th CAB, which included the 118th AHC. It must be remembered that the tabulations above are for only a part of the entire movement of the 20,000 troops over the four day period. And, the flight times shown don't in anyway represent all the many many hours spent supplying and re-supplying the maneuver battalions on the ground over the entire time period of Phases I and II. Operation Attleboro was a very large and complex movement of maneuver battalions in what some have called,"Eagle Flights". However, they did not follow the normal rules of engagement for "Eagle Flights". It must have been interesting from the enemy's viewpoint to see all the helicopters flying around and landing and taking off with and without troops on board. The Viet Cong and NVA had done a masterful job of hiding and evading observation. In the end over 1,000 enemy were killed while US losses were 155 KIA and 494 wounded. Not wanting to give away their positions, there was little ground fire at the helicopters. There was apparently very few anti-aircraft weapons employed by the NVA and VC units and only 30 cal. 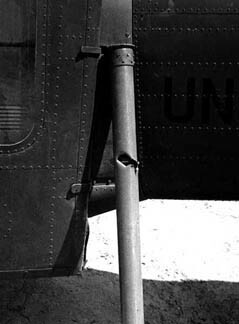 weapons were used to inflict single shot damage to the aircraft. "In support of "Operation Attleboro", elements controlled by the 145th Combat Aviation Battalion flew 1334 hours and 5857 combat sorties with 9,105 troops being lifted. 13 aircraft took hits, however non had to be recovered." 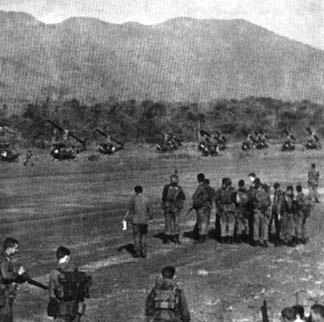 Troops forming up in "chalks" to load onto helicopters of the 145th CAB at Dau Tieng Airfield. Marion L. Ellard, a member of B Company, 2/27th, 25th Inf. Div "Wolfhounds" has written an excellent first person account that can be read at internet site: "OPERATION ATTLEBORO"
Also, a very good detailed article about the 196th LIB titled, "Operation Attleboro; The 196th Light Infantry Brigade's Baptism of Fire", by COL. Charles K. Nulsen, Jr. US Army (Ret. ), is available by clicking the link. "Operation Attleboro exposed the lack of clear understanding by some senior commanders of how to best use American troops to fight an elusive and determined guerrilla force in the jungle. 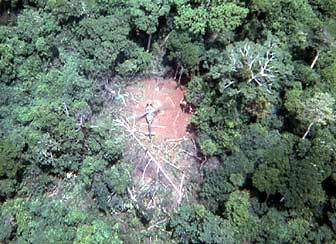 Complicated maneuvers by company-size units in the heavy underbrush of the jungle were not successful. Radio and ground communications between commanders were neither well planned nor properly tested. Piecemeal commitments of forces were made seemingly without rhyme or reason. The principle of span of control was violated by giving one battalion commander command over a brigade-size force of 11 rifle companies on an ad hoc basis. And finally, the American units lacked adequate, timely intelligence on the VC and NVA units in the area of operation". SAIGON  The Viet Cong carried out two heavy mortar attacks on a U.S. infantry base camp and were beaten back in repeated assaults against two government outposts as the major ground action centered around Tay Ninh Friday. The communists dropped more than 100 mortar rounds in two early morning attacks on the base camp of the 196th Light Inf. 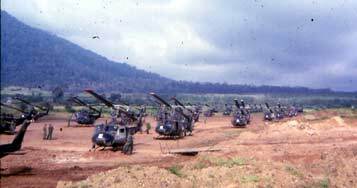 Brigade, about 65 miles northwest of Saigon. The first attack began about 2 a.m. and lasted about 30 minutes. The second one came about 5:45 a.m. and ended about 15 minutes later. American casualties and damage were described as light. This was the heaviest attack made against the base camp since the 196th arrived in Vietnam in August. The camp was hit by mortar fire on one other occasion, but the attack was light. The base camp of the Philippine Civic Action Group, near the 196th headquarters, also was hit. Light casualties and damage were reported. Shortly after midnight, a company of South Vietnamese regional force troops manning two outposts about 18 miles southeast of Tay Ninh came under attack by an estimated 700-800 Viet Cong. The attack was preceded by a heavy mortar attack that lasted nearly an hour. 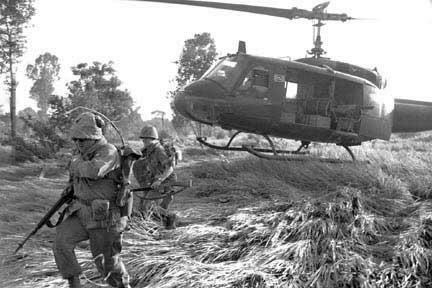 The government troops  outnumbered seven or eight to one  fought off the Viet Cong despite superior firepower and repelled repeated assaults on their positions. Flareships and armed helicopters were called in about 4:30 a.m. and the enemy withdrew about 5 a. m. Just before noon Friday, a company from the 196th Light Inf. Brigade made contact with the enemy in the same area as the previous day's fighting, northeast of Tay Ninh. The unit was reinforced and was getting heavy artillery support. Pacific Stars and Stripes photographer Kim Ki Sam, at the scene, reported that heavy fighting was continuing in the afternoon. The attacks Friday followed heavy fighting in the same general area Thursday. Units of the 196th and the 25th Inf. Div. made contact with a large enemy force about 12 miles northeast of Tay Ninh. Initial contact was made about 9 a.m. Thursday when a unit of the 25th drew heavy fire from a dug-in reinforced company of Viet Cong. Meanwhile, another unit of the 196th in the same area came into heavy contact with an estimated company after uncovering an enemy base camp. 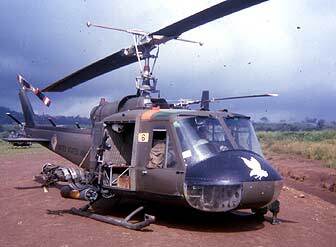 A Huey medical evacuation helicopter was shot down by enemy groundfire, injuring one of the occupants. The copter later was recovered. Artillery and air strikes were called in against the enemy position and contact was broken off soon after. Saigon--More than 1,000 communists were killed in 43 days of bitter fighting, but U.S. military spokesmen say the most significant result of Operation Attleboro was the severe blow struck against the communists' supply system. The operation was officially ended Friday. The Reds lost some 2,400 tons of precious rice that was to feed their troops for months. They also lost more than 25,000 grenades, 127 individual weapons, 19 crew-served weapons, more than 1,000 pounds of ammunition, bombs, clothing, cooking oil, bicycles, tobacco, fifth and other food supplies. The final toll of communist troops was 1,106 killed, 44 captured and 60 suspects detained. Nine base camps were destroyed, as were 260 buildings, 124 tunnels or caves and 502 bunkers. Troops of the 196th Light Inf. Brigade first began uncovering stockpiled Viet Cong supplies about Nov. 1, two weeks after Attleboro began. 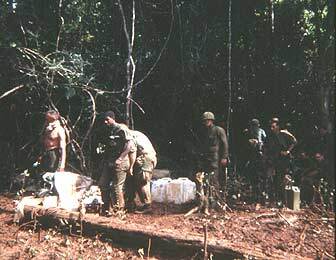 Day after day, as they advanced through the thick jungle forests, they came upon VC camps and storage areas. At first it was considered a joke when a unit would stumble onto a large rice cache. Later, such a discovery was turned into drudgery, since the captured supplies and equipment had to be loaded and evacuated. Within a week, the operation had become so big that 17 U.S. infantry battalions and two Republic of Vietnam Ranger battalions had been committed, with heavy support by artillery, helicopters and Air Force fighter planes and heavy bombers. At one time, the entire 1st Inf. Div. and units of the 25th Inf. Div., the 196th Light Inf. Brigade, the 173d Airborne Brigade, the 11th Armored Cav. Regt. and elements of the 2d Bn., 34th Armored, were fighting. On 20 days of the campaign, B-52 bombers saturated suspected enemy concentrations with high-explosive bombs. And 1,571 sorties were flown against the enemy by fighter aircraft. The enemy throughout the campaign was the 9th Viet Cong Div., reinforced by the 101st north Vietnamese Regt. No heavy contact with the enemy has been reported for more than two weeks, although there were almost daily fire fights and nightly mortar attacks. Friday night, only 15 minutes before the operation officially closed, the Tactical Command Post of the 2d Brigade, 1st Inf. Div., was hit with 30 rounds of enemy mortar fire near Dau Tieng. Artillery, mortars, armed helicopters and a rejuvenated old Gooney Bird with 20th Century gatling guns responded.